My Life For Him is a fragrance that's easy to love and impossible to resist. You fear nothing. You answer to no one. You live by your own rules. And you love the spotlight. 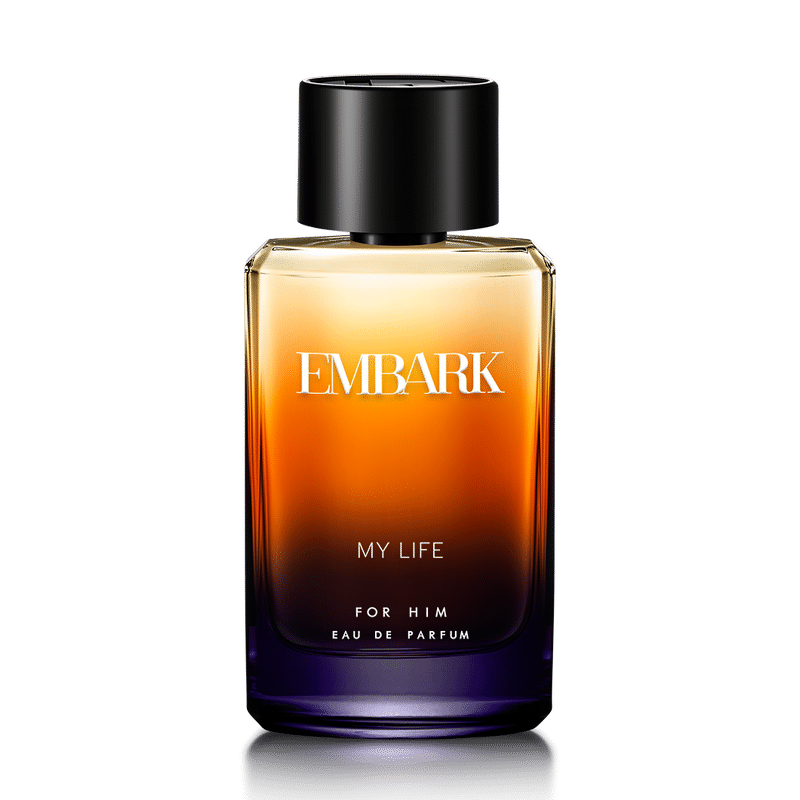 The bold, lively scent of 'My Life For Him' Eau De Parfum Natural Spray by Embark captures that devil-may-care attitude in a delightful fragrance, infused with earthy Sandalwood and exotic Yuzu. A bold confidence that lingers. About the Brand: Embark is an urban, contemporary fragrance brand whose products are of the highest quality. A wide range of products that lasts all day and makes you feel confident and attractive everyday.A product made by some of the best perfumers in the business, using outstanding essential oils that last longer. One that's made in India, for India. One that's designed keeping in mind the country's climate as well as your skin. One that is 100% cruelty-free. In short, a product that deserves pride of place on your dresser. Explore the entire range of Perfumes (EDT & EDP) available on Nykaa. Shop more Embark products here.You can browse through the complete world of Embark Perfumes (EDT & EDP) .